The digital world offers some efficient and powerful tools for creating infographics. These tools make your infographic more visually appealing and engaging. Capture the viewer’s attention more than only black and white texts. Helps the users to create a visually compelling and data-driven stories. 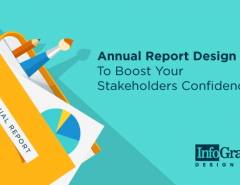 With the help of infographic tools, an organization can increase brand awareness and drive traffic by providing intriguing visuals. In the recent times, infographics have become a widely used data visualization tool ideal for online marketing. 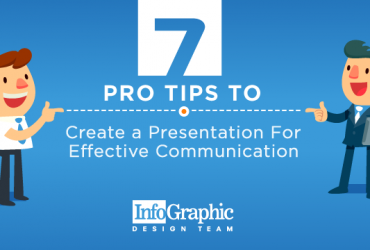 Infographic ideas essentially present a topic in bite-sized pieces accompanied with images. Companies use is to inform the target audience about its products and services. As the market is overloaded with several online tools for creating infographics, it becomes hard for designers to choose which one to use. To clear your confusion, here’s a list below describing Top 12 tools for creating infographics available in the market. Choose any according to your budget and requirement and enjoy creating stellar infographics. Infogram is a data visualization tool that lets the creator to design charts, infographics, maps and reports within a short span of time. The tool helps people to communicate with data in a clear and engaging way. Launched in 2012, Infogram is now the best infographic online tool. This tool benefits those who view data as a powerful communication mode when efficiently visualized. Users consider it to be the best data visualization platform amongst the wide range of tools for creating infographics. It has over 20 ready-made design themes to choose from. Enables people to create their customized brand theme with colors, logo and fonts. Infogram lets the designers create impactful charts and maps. It comes with an easy to use drag and drop editor. Offers the option to create fully responsive infographics. Offers some basic templates which can easily be customized with the relevant statistics and graphics. 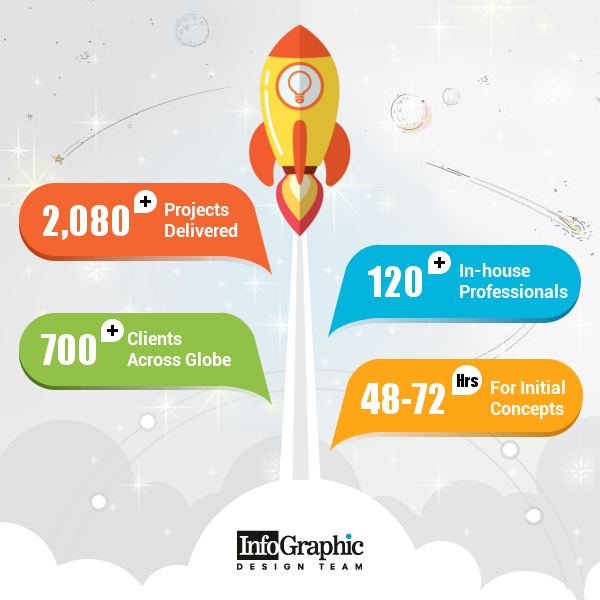 Infogram allows us to create impressive and visually appealing designs within a very short time. Infogram offers subscription-based service for both personal use and business requirement. You can choose your plan according to your condition. Befunky is another best infographic creator that can help you create prominent, persuasive and useful infographic presentations. It offers fantastic Infographic Maker, easy-to-design templates, hundreds of design elements along with more than a million free stock images from Pixabay. The Infographic Maker helps you transform complex data into visually compelling stories. The tool is known to change the appeal of the marketing materials. Befunky is the easy-to-use tool; the process is very convenient – select a template, customize the theme with images and icons and finally personalize the infographic by adjusting the text, colors and layout. BeFunky makes photo editing easy. The feature lets users turn their photos into something they impressive they wish for. This feature is ideal to present and create a mixture of pictures to tell a story or share a personal adventure to the audience. The designer feature of Befunky enables the designers to create stunning designs. This tool is ideal for those who want to try their hand at designing and are a novice at Photoshop. 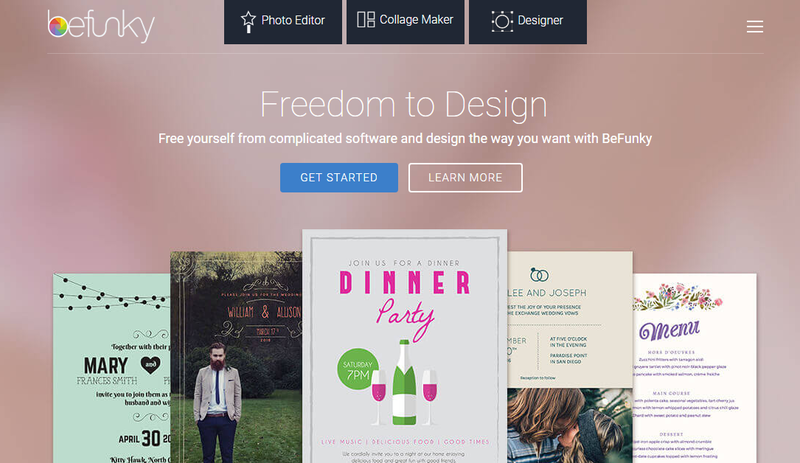 With this Toolset, designers can create fully customized graphic designs. Befunky has a different pricing plan for different people depended on their requirement. You can enjoy the set of befunky tools free of cost (basic). Upgrading to be fully plus will enable you to enjoy its service ranging from $4.95/mo (BeFunky Plus). Visme gives voice to your visuals with its sophisticated features. Visme enables a user to design not only engaging infographics but also presentations, graphics, banners and interactive tutorials. You can also upgrade your video and audio works with its hi-tech features of recording a voiceover directly in the editor. 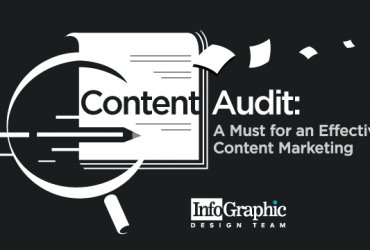 The tool also enables you to animate your content to make your infographic more interesting. This free tool includes over 100 free fonts, millions of free images and thousands of quality icons. This tool is mainly known for having a specialty- ability to handle animations and interactive elements. An easy-to-use intuitive infographic maker that will transform the way your visual communication method. Visme offers a free plan. But if you want to enjoy more service, you can get into premium plans to present to your audience marvelous content. Snappa, a graphic design tool offers free infographic maker. This one is ideally made for non-designers. Among all other free infographic tools online, with Snappa any novice can build designs just within 10 minutes. Snappa includes some preset templates that are optimized for social sharing on the web. It offers a fully-featured graphics editor. Snappa comes with a vast stocked library of visual asset photos. The templates available are of high professional quality. The tool has features to re-size your graphics magically. The folder facility enables you to save and organize your designs properly. The tool also allows you to Import your custom fonts. Price plan is quite systematic; every account starts with the free plan. There are options for you to shift plans whenever you wish to. Canva, a user-friendly online tool is appropriate for all kinds of design tasks. This powerful tool is suitable for creating brochures, presentations and many more design related activities. Canva has a vast library of icons, images and font to choose from. It offers a dedicated free infographic maker that is stuffed with hundreds of free design elements and fonts. Lets you present relationships between two or more datasets in an easy way. Whether you need to compare and contrast different numbers or make track changes across a given period, you can use Canva. Offers thousands of layout for designing social media graphics, presentations besides infographics. Canva is ideally built for those who want to bring about a thoughtful approach to graphic design. Two folders available to arrange your designs. Up to 10 team members for free. Available 1 GB storage for your photos and assets. You can enjoy access to over 8,000 templates. There’s also a facility to upload your images. The product offers more premium elements that you can enjoy only for $1. Piktochart is one of the widely used and largely popular infographic and presentation tools. It reports having over five million users worldwide. Piktochart offers both a free version as well as a paid-for pro subscription. With this tool, you can get access to an increasing number of customized templates created by professional designers. It’s preferred by all because it’s a simple design software. Any designer (beginner or pro ) can use this intuitive tool to give an extra edge to their visual story. Custom editor lets you modify color schemes and fonts; you can insert graphics (pre-loaded) or upload necessary images. The grid-lined templates available is helpful to align graphical elements and re-size images proportionally. The plans available include a Piktochart package, plan for nonprofit organizations and separate plan for educators and students. In the Piktochart package, the free version provides three basic themes- Lite pricing plan for $15 per month or a Pro account available for $29 per month. Choose your plan according to your necessity. Venngage is another suitable and easy-to-use tool for creating and publishing infographics. This tool provides the users with a variety of templates, themes, hundreds of charts and icons. The tool also has features that allow you to animate your images to add more zing to your graphics. It’s a perfect interactive infographic maker. Venngage has features categorized into three sectors – business, premium and education. Offers customizable infographic templates and themes. Enables the user to import data directly from your spreadsheets into the following chart styles. Easy drag and drop facility that allows the users to pull widgets directly onto one’s canvas. Gives you the facility to embed and link your infographics on your blog or website. The user can choose from the three price plans according to their requirement. Students can enjoy free plans, business organizations can get started $49/ month and there are a premium plan for individuals $19/month. Easel.ly is a free infographic tool that offers the users with a myriad of different template styles to create modernly designed infographics. Business owners can use Easel.ly to customize infographics and allows access to a huge library of connector lines, arrows and shapes. The users can customize their infographic texts with different fonts, colors, text styles and sizes. The tool also allows you to upload your graphics and position them with one touch. Easel.ly is ideal not only for business owners but also for educators and students who want to make some visually appealing infographics. For getting started, there’s the free option and the user can enjoy 60 images and ten fonts. If you want to get more resources, then your pricing starts at $3 a month. PicMonkey, an online image editor is dedicated to designing beautiful infographics. A user can choose from the number of templates available and customize according to his design needs. 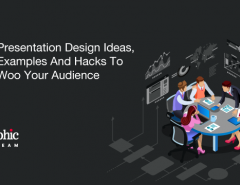 PicMonkey helps users with a selection of tutorials – it teaches how to design an infographic, how tailor make a design to work on social media and how to utilize grid theory to create a more polished design. 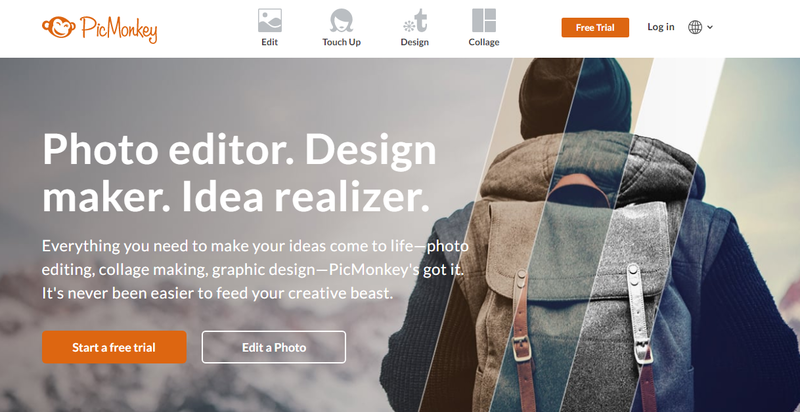 PicMonkey is a paid service with various options attached to it, but one can also enjoy the facility of the free seven-day trial to check if the editing options suit your business requirements. Animaker is one of the vital tools to make your infographics more interesting. This tool enlivens your static infographics by adding motion to it. 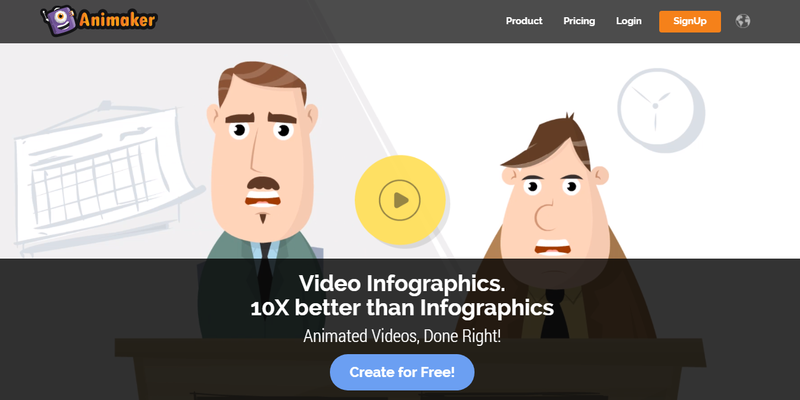 Animaker is a tool sole dedicated to create video infographics. Initially, you can start for free and proceed according to your requirement. There are three categories of pricing status- personal, startup and business. Each category has its specific facilities. The price is planned according to the video length minute duration, no of exports, upload to youtube, download option, etc. Adioma is a superb infographic building tool that includes a range of templates, a massive library of icons and several color palettes. It offers its users a variety of generative templates and save the adjusting and realigning time of a designer. The makers can also enjoy the facility of template switching feature. You can choose from the three available price plans. If you want more resources or improve your download options, you would require buying the expensive options. In 2018, video infographics would be an essential part of every organization’s digital marketing strategy. Biteable is one of the free video infographic maker tool that allows you to make engaging, entertaining and informative video infographics. Use Biteable to edit and create free infographic videos instantly. Every business organization should enjoy the power of infographic. 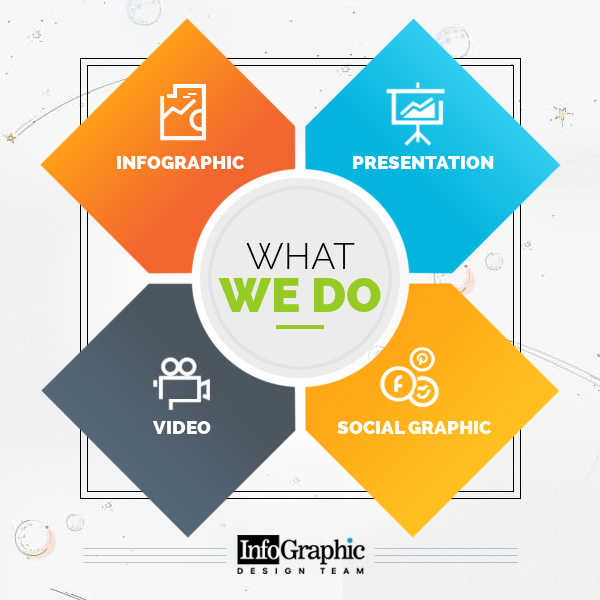 Infographic Design Team will help you to design engaging contents and woo your audience. The skilled professionals here are always ready to provide you every scope of creating excellent piece of work. The infographics tools mentioned above are suitable to aid you to publish infographics online conveniently without any hassle. Whether a small or a big enterprise, these tools are helpful for all. However, the list is not all comprehensive; there are several other accessible and useful tools available in the market besides the tools above. As a designer, you can use any tool of your choice and present a visually stunning infographic for your audience. 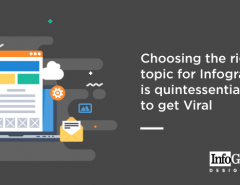 Choosing the right topic for Infographic is quintessential to get Viral. Why?